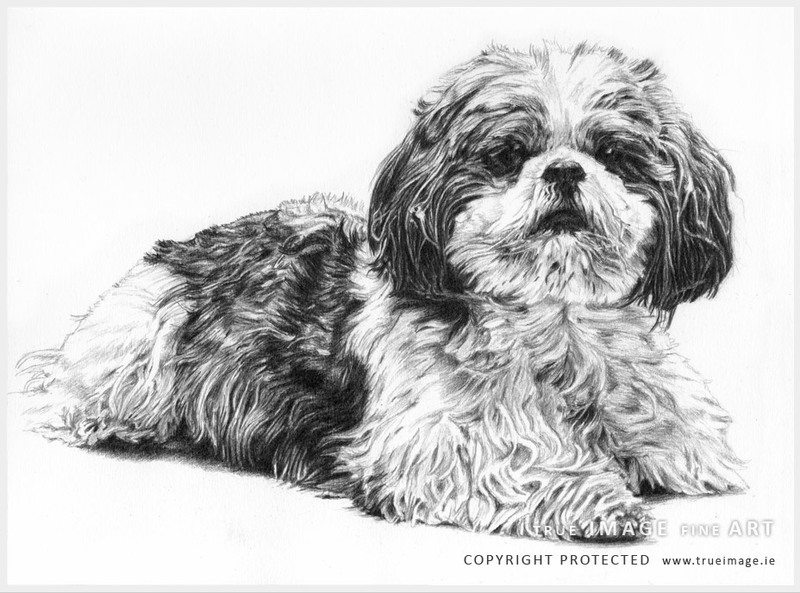 This pet portrait features a lovely shih-tzu called Ted. 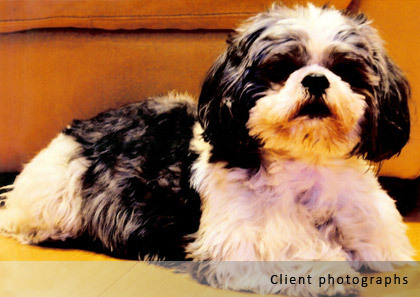 His pet portrait was commissioned as a Christmas gift for his owner in 2010. The drawing is drawn with graphite pencils ranging from HB to 7B on Fabriano paper. The client has provided me with one photograph. It was quite small and dark, but it worked well on a smaller sized portrait. I worked on a 25 x 20cm size paper. The shadow areas were brightened up and the background was left white so that Ted remains the main focus of the picture. A little shading was added where Ted's paws meet with the floor to add context.